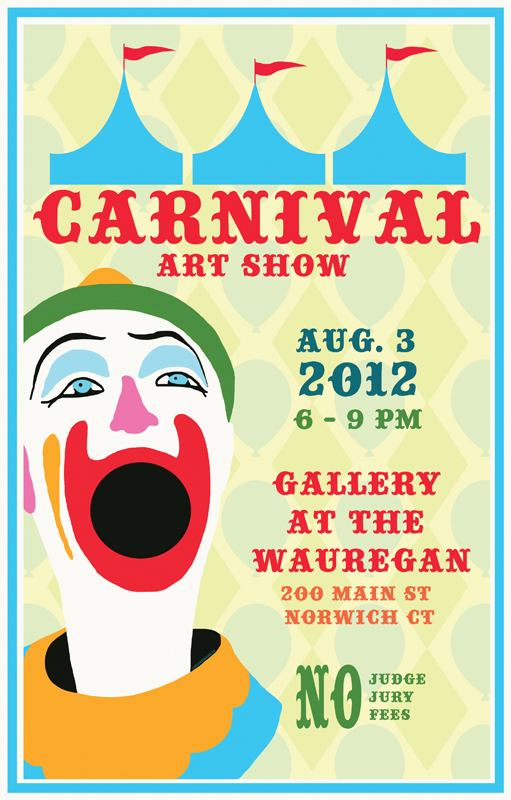 A new poster for the “Carnival” art show opening on August 3 at the Gallery at the Wauregan in Norwich, CT. When you do fall asleep, I shall sneak into your room and wallpaper it with this poster. All four walls….